One of our all time favorite gi designs, black pearl weave with red tulips, has had a great two and a half year run in production and this month we are sending it to a well-earned retirement. The replacement is a lighter weight monochromatic black pearl weave gi. 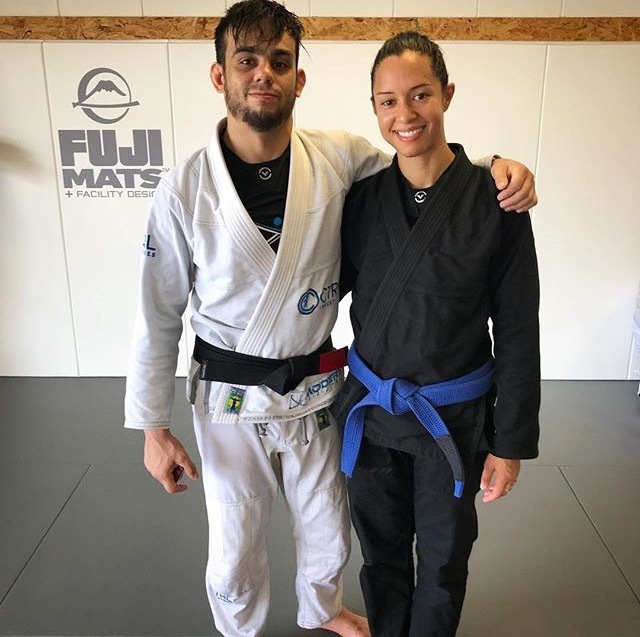 This is a gi for someone who needs a break from colorful embroidery but still prefers a branded, quality women’s bjj uniform with plenty of size options. 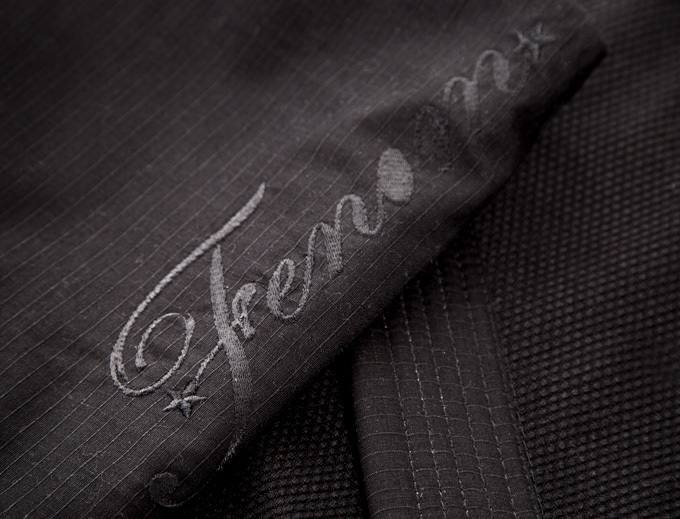 It is a simple, clean design with our trademarked F on the sleeves and Fenom in graceful calligraphy on pants. Direct embroidery is barely visible and will show more as the gi fades over time. We made this gi in sizes A0-A5, including our standard talls and curvies but also in A2 curvy jacket which is becoming one of the most sought after sizes. A2 curvy jacket is a half-size between A2 and A3. It is perfect for a woman who is in A1 or A2 height bracket, wears DD cup or larger bra, needs extra chest coverage and feels that regular A2 is tad bit tight in the armpits or too open in the front. Gi jackets are made of standard 550 gsm pearl weave and pants are light-weight ripstop with flat drawstring. Black round custom cord is included for no extra charge.